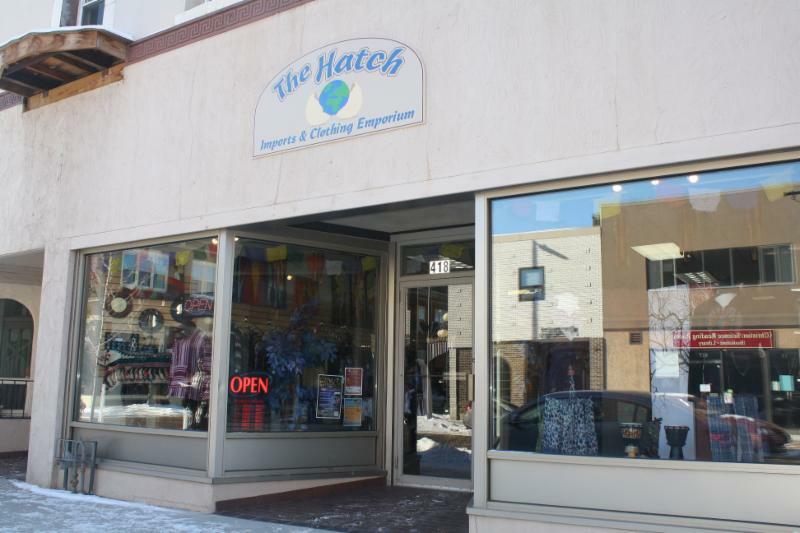 Posted: January 9, 2015 New store 'hatches' on S. Barstow St.
With a move from Menomonie, The Hatch is now open on S. Barstow Street in Eau Claire. Owner Adam Arel says The Hatch is a store with unique items and reasonable prices. "We strive to have quality products with less of a mark-up with the idea that lower prices equal selling more, and that equals more room for new products coming in. Products will change frequently enough so you never really know what you're going to find when you come in next," Arel says. Arel says while their sign says 'clothing and imports,' they strive to carry things from as far away as India and Indonesia, but also showcase things that are made locally. Originally from Northwestern Minnesota, Arel and his wife traveled through Eau Claire about 12 years ago. "We liked that there seemed to be so many small businesses everywhere and commented on how pretty it was." A year later, the Arels decided to pack up and move their family to Eau Claire. "Eau Claire is a beautiful city, full of great people. In my opinion, it kind of chose us!" Arel says. The clothing and décor shop opened at 418 S. Barstow in early October. Prior to that, the Arels had the store open for about two years in Menomonie. They also travel to many festivals throughout the area to sell their products, including jewelry they make themselves. "I think our shop will ultimately fit in very well. With all of the things going on downtown, and the future of downtown Eau Claire, we just couldn't see any better place to be."